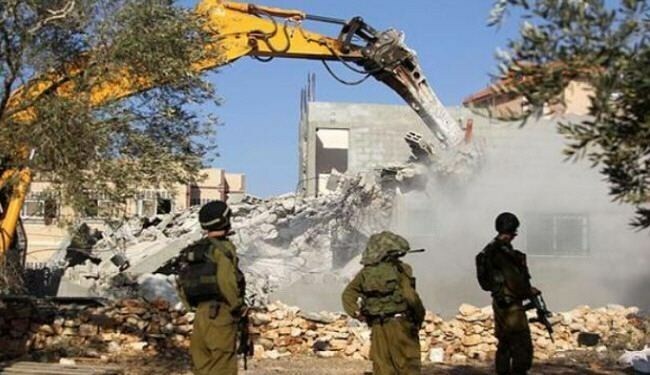 The Israeli Information Center for Human Rights in the Occupied Territories 'B'Tselem' denounced in a press release issued Tuesday Israeli orders to demolish or seal the homes of the families of Palestinians who carried out recent attacks against Israelis. "This action constitutes harming the innocent. It is collective punishment that is both unlawful and immoral," B'Tselem said. The center said, "Since the occupation began in 1967, Israeli security forces have demolished hundreds of homes to punish relatives of Palestinians who harmed or allegedly harmed Israelis. This policy rendered homeless thousands of people who were not themselves accused of any wrongdoing." About ten years ago, a military committee headed by Major General Udi Shani found punitive home demolitions to be a measure of questionable effectiveness in deterring attacks against Israelis. It found that there are even indications that demolitions sometimes achieve the opposite effect and stated that the measure is just on the “verge of legality”. B'Tselem said that the habitual call for punitive demolition in response to attacks against Israelis ignores the committee’s findings and is apparently made primarily to achieve media interest and political gain. A policy of punitive home demolition is fundamentally wrong, irrespective of its effectiveness. 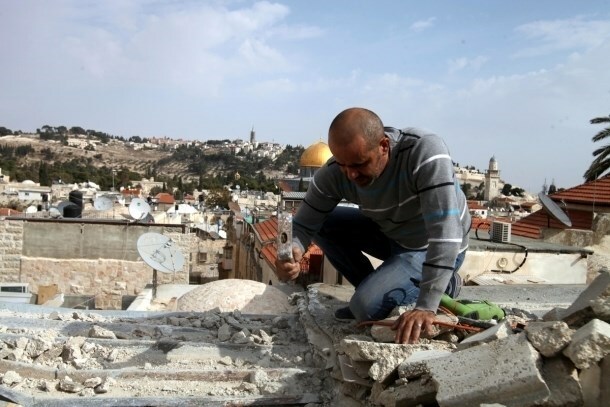 It contravenes basic moral standards by punishing people for the misdeeds of others, the human rights organization concluded, calling upon the Israeli authorities not to demolish these homes. Several Israeli military vehicles invaded, on Wednesday at dawn, the southern West Bank city of Hebron, and Beit Ummar nearby town, broke into and searched homes, and installed roadblocks. Mohammad Awad, spokesperson of the Popular Committee against the Wall and Settlements in Beit Ummar, stated that the soldiers invaded the Beit Za’ta area, east of the town, violently searched and ransacked several homes. The invaded homes belong to residents Fayez Mohammad Sabarna, his brothers Hussein and Abdul-Qader, Monther Hasan Sabarna, ‘Ala Odeh Sabarna, Thiab Hamed Sabarna, Ibrahim Odah Sabarna, and Fayez Ahmad Sabarna. The soldiers also took pictures of the invaded homes, and the families. On Tuesday at night, soldiers invaded the home of Amer Abu Aisha and Marwan al-Qawasmi, and searched the properties causing excessive damage. The two were killed by the army in September. Soldiers also installed roadblocks at the entrance of Beit Ummar town, and the western entrance of Doura town, before stopping and searching dozens of cars, and interrogated the passengers while inspecting their ID cards. In related news, soldiers invaded Um al-Kheir Bedouin village, east of Yatta town, south of Hebron, and handed orders for the destruction of eight tents and residential structures. Rateb Jabour, spokesperson of the Popular Committee against the Wall and Settlements in southern Hebron, said that members of the al-Hathaleen family were ordered to remove their tents, and tin structures, used for residence, and a number of tin barns. The structures belong to Abdullah, keirallah, Amna, Odai, Aziz, Ammar and Eeda al-Hathaleen. Israeli soldiers detonated, on Wednesday at dawn, the home of Abdul-Rahman Shalloudi in Silwan town, south of the Al-Aqsa Mosque, in occupied East Jerusalem. Israel claims Shalloudi, who was shot dead on October 23, deliberately rammed his car into Israeli waiting for the light rail. An Israeli infant was killed in the incident, and seven other Israelis were wounded; while many reports indicated he might have lost control of his vehicle due to high speed and illness. 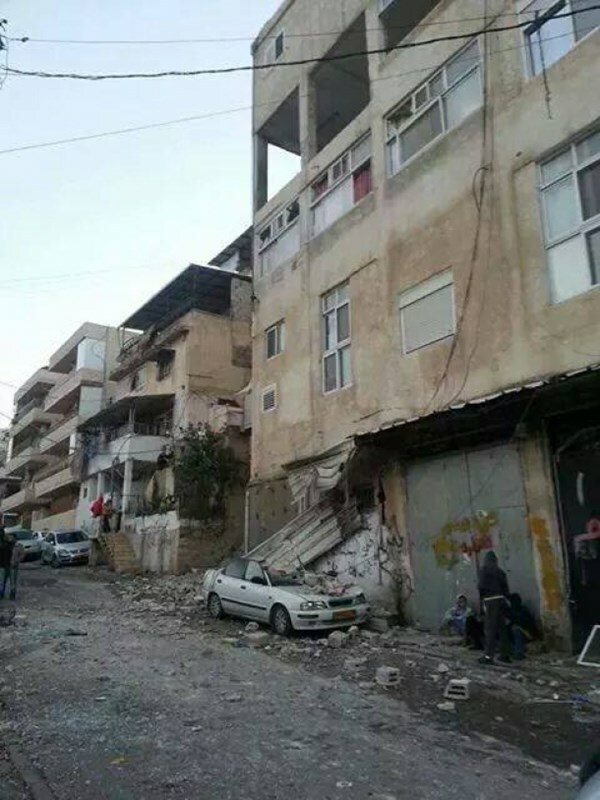 Shalloudi’s mother, Enas, told the Palestinian News & Info Agency WAFA that the soldiers invaded their home an hour after midnight, forced all families in the residential building out on their homes, and detonated the fourth floor where the Shalloudi family lived. WAFA said five other families, not related to Shalloudi, live in the building; the families, including children and elderly, were all forced into the protest tent in the al-Bustan neighborhood, while the army detonated the fourth floor. Enas added that the explosion caused damage to other apartments in the building, while the debris also damaged a number of cars, parked on the street near the building. The soldiers earlier searched and ransacked all apartments in the building, causing excessive property damage. Several Israeli military and police vehicles, accompanied by bulldozers, invaded on Monday morning the Bedouin village of al-‘Araqib, in the Negev, and demolished it for the 78th time. Salim al-‘Araqib, a local resident of the village, said several Israeli military and police vehicles invaded the village approximately at 5 at dawn, and demolished three homes. He added that the soldiers also demolished several residential structures, barns and sheds, and attempted to demolish a structure used by the residents as a mosque. The soldiers also tried to smash some cars using their bulldozers, but the villagers managed to remove their cars away. 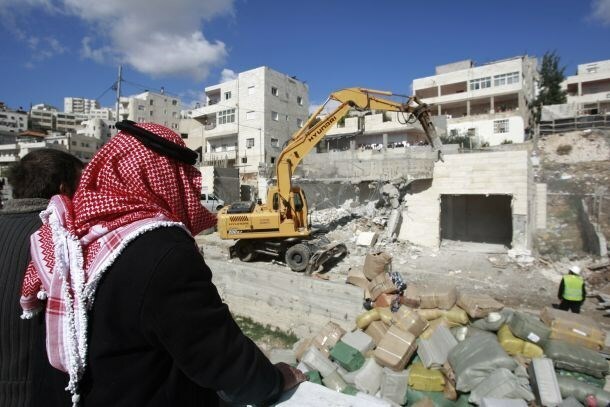 The village’s Sheikh, Siyah Abu Mdeighem, said this is the 78th destruction carried out by the Israeli authority against the village, leaving the families without a shelter, and that the army also continuously demolishes sheds and barns owned by the families. The destruction of the village comes part of what Israel dubs as “The Negev Development Plan," which aims to build settlements and malls after removing and relocating the Bedouins from their villages, unrecognized by Tel Aviv although they have been there before Israel was established in the historic land of Palestine in 1948. 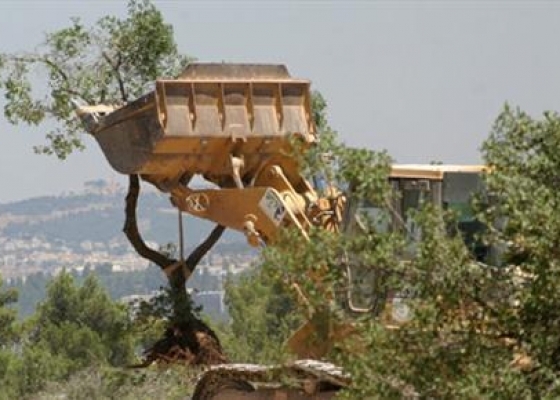 A number of extremist Israeli settlers invaded, on Monday, Palestinian farmlands, west of the central West Bank city of Salfit, and bulldozed agricultural lands to expand settlements’ industrial zones in the area. Local sources said the settlers came from Ariel and Barkan industrial settlements, built on Palestinian lands west of Salfit, and bulldozed farmlands belonging to villagers of Hares, Kifl Hares, Deir Estia and Broqeen. Palestinian researcher Khaled Ma’ali said the illegal expansion of the industrial zones has been ongoing for a long while, adding that many of these violations are carried out slowly and away from media attention. He called on international and local human rights groups and health organizations to visit the area, to witness the ongoing Israeli violations, and the increasing suffering of the Palestinians. Dozens of Israeli soldiers invaded, on Friday evening, Silwan town in occupied East Jerusalem, and handed the family of Abdul-Rahman Shalloudi an order informing them of a decision to demolish their home. Israel claims that, on Wednesday October 22, Shalloudi deliberately rammed his speeding car into Israelis waiting for the light rail, while many reports indicated he might have lost control of his vehicle due to high speed and illness, wounding seven, and killing a 3-month-old baby. 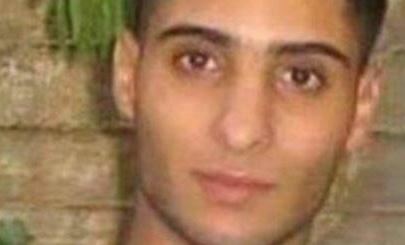 Israeli rail guards opened fire at him, and he died of his wounds a few hours after his injury. 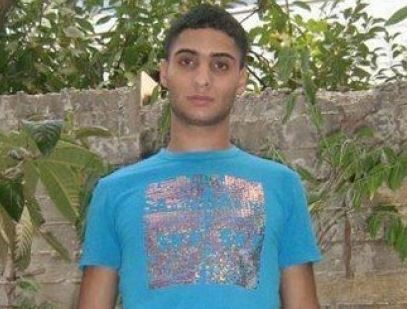 Last Friday, his mother said she received the Israeli order to demolish her home, and that the order states the family has until Sunday evening to appeal the decision. On Monday November 10, the army and Jerusalem City Council employees invaded the home of Shalloudi, and took measurements and pictures of the property, as it is located in the top fourth floor of a residential building. Two days ago, the family of slain Palestinian Mohammad Nayef Ja'abeess, in Jabal al-Mokabber area of occupied East Jerusalem, received a similar demolition order. On Thursday, soldiers invaded the home of Mo’taz Hijazi and took measurements of the property in preparation for demolishing it. Israeli Prime Minister Benjamin Netanyahu instructed the army to speed up the destruction of the homes of Palestinians who, according to Netanyahu, “carry out terrorist attacks” in Jerusalem. The demolition of homes and property is an act of collective punishment that violates International Law and the Fourth Geneva Convention. 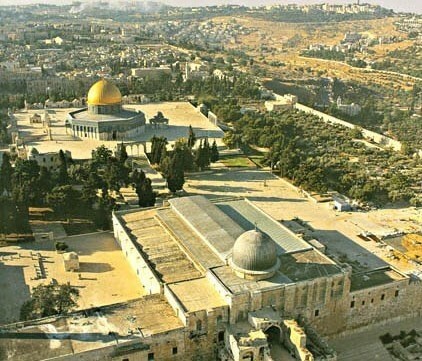 Dr. Hanna Issa, Secretary General of the Islamic Christian Committee to support al-Aqsa and the holy sites of Jerusalem, spoke out on Wednesday against Israeli’s arbitrary house demolitions in Occupied Jerusalem, dubbing the policy as one that is tantamount to ethnic cleansing and collective punishment. Referring to official data on Israel’s demolition operations, Hanna said 517 Palestinian homes were razed to the ground since the start of 2004 until July 2014, 59 among whom were forcibly demolished by their own owners. “Such an ongoing demolition policy adopted by the Israeli occupation against the Palestinian civilians across the Israeli-run areas makes part of a strategic plan aimed to holding sway over the local land tracts,” he charged. 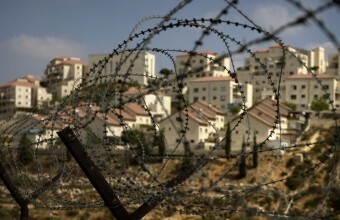 Issa said at least 2028 Jerusalemites have gone homeless in Eastern Jerusalem during the same aforementioned period. He further raised alarm bells over the 1108 Palestinian minors who have gone homeless and have been forced to wander down and out on the streets after they have become without a roof over their heads due to such policy. According to official data, at least 988 Palestinian homes were either partially or totally destroyed by the Israeli occupation authorities in Eastern Jerusalem between 1999 and 2014. He warned of Israel’s exploitation of the security pretext and alleged charges of unlicensed construction among, many other flimsy excuses, to perpetrate its devised schemes of ethnic cleansing, settlement expansion, and Judaization strategies. Issa also warned of Israel’s breach of the poli-demographic terms mapped by the international law, which considers Eastern Jerusalem as part and parcel of the Palestinian territories occupied in 1967. He spoke out against Israel’s attempts to evacuate Jerusalem of its idiosyncratic Palestinian character and spread out illegal settlement at the expense of Palestinians’ own and only native lands. The Israeli occupation authorities (IOA) issued a decision to confiscate 66 dunums of land tracts in Sheikh Saad village, to the east of Occupied Jerusalem, for military use. The confiscation orders, posted on a checkpoint randomly pitched in the village, were issued by the Israeli occupation army commander in Jerusalem. Clashes burst out on Monday between the Palestinian land owners and the Israeli occupation officials after the latter decided to abruptly break into the targeted tracts and delineate the projected confiscation borders. A Palestinian boy sustained a critical live bullet injury in his stomach throughout the clashes. Zaatra further spoke out against a systematic Israeli policy aimed at isolating Sheikh Saad village and cutting it off from its geographical surroundings. The Israeli occupation forces (IOF) on Sunday evening handed a demolition threat to a Palestinian civilian and his son in al-Khader town, south of Bethlehem. 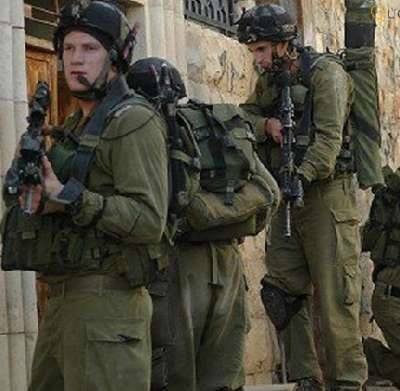 Sami al-Shouli said a large number of the Israeli occupation army troops, escorted by members of the civil administration personnel, stormed the neighborhood of Aqba Hasna, northwest of the town. He added that the civil administration personnel served a demolition notification to his 63-year-old father that his house would be knocked down under pretext of unlicensed construction. The targeted building is a home to nine Palestinian civilians and covers an overall area of 250 square meters, Shouli said. A PIC correspondent further quoted Shouli as saying that his younger brother Samih, 30, received a similar demolition notice targeting a home of his own covering 250 square meters, under the same pretext.